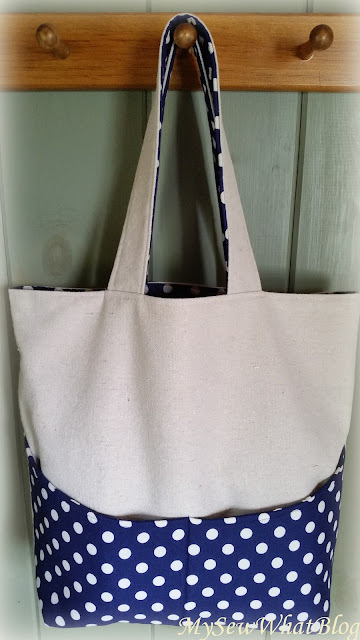 Today I completed a tote bag constructed from painter's dropcloth. 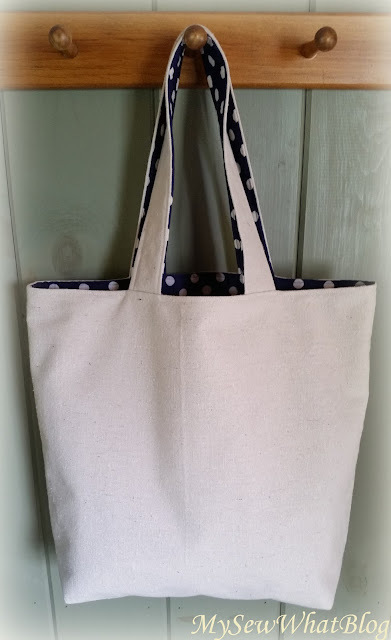 (100% cotton) I love this fabric and I love sewing with it! It does require a bit of preparation though such as washing, drying and ironing. Then I zig zag all pieces cut from the fabric to prevent freying because this stuff really freys after cutting. 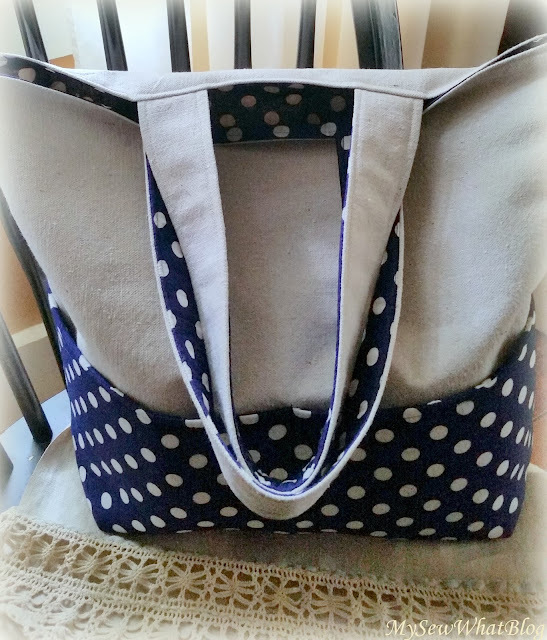 This tote has a divided pocket in the front (blue and white polka dot) and inside is a canvas pocket that is also divided and a bit deeper. Here is the back view. Looks like your classic canvas tote from the back! 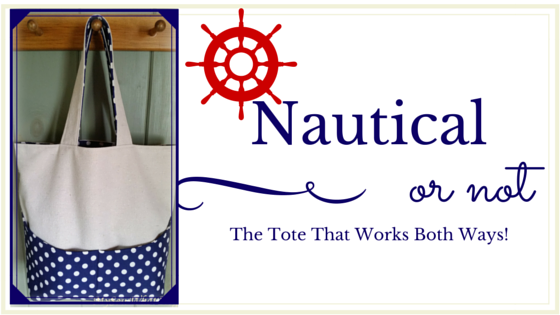 The polka dot lining jazzes it up a bit and lends a subtle nautical touch in the event one isn't in to anchors. It looks pretty cute just hanging on the porch or sitting on a chair!! 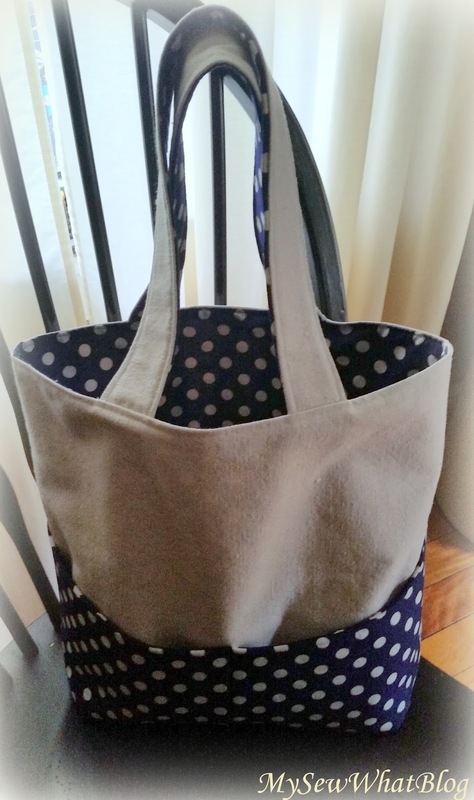 Completing this tote crosses one thing off my to do list today but sigh....I have many more things to cross off my to do list before I go to sleep--like dinner....What's for dinner? I don't have the foggiest idea! I am off to dream up something delicious for dinner! Thank you for dropping by!